It's very nearly October and Halloween is creeping up on us. Next week sees a specially timed release from My Little Pony. Available on DVD and Digital Download from 5th October, Spooktacular Pony Tales is from the Friendship Is Magic series and features 6 mysterious tales from the Ponyville residents. 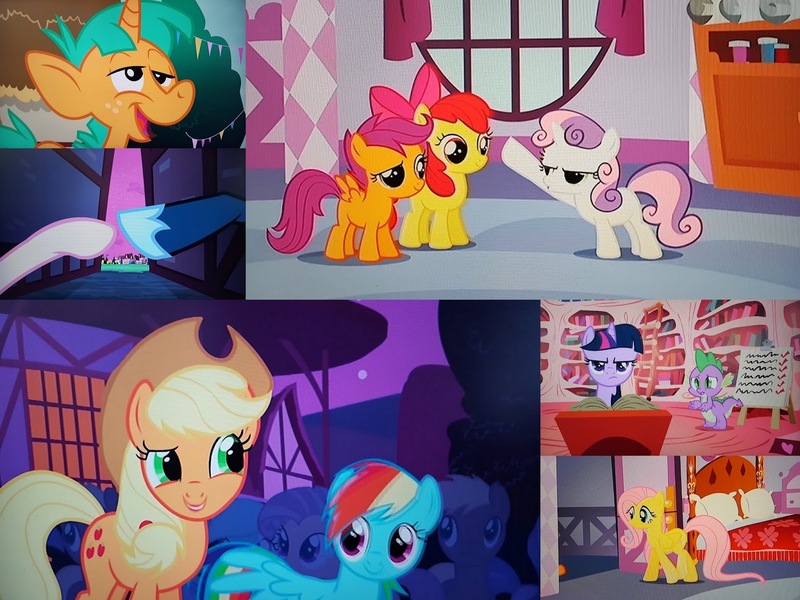 Featuring all of the familiar characters, the My Little Pony DVD's are great whether you have watched My Little Pony before, or not. Aimed at a younger audience, the movies are Universally rated, so that gives you a good idea of how spooky Spooktacular Pony Tales is. The ponies are friendly and each has it's own character and look, so there isn't too much confusion over who is who, even to a new fan. The Friendship Is Magic storylines are simple to follow, and always have the underlying messages of friendship, care for others and fairness. Spooktacular Pony Tales has the additional message that 'sometimes it's okay to feel a little bit scared' in relation to dressing up and celebrating Halloween. This is actually our 3rd My Little Pony review from the Friendship Is Magic series. We've previously reviewed 'May The Best Pet Win' and 'Baby Cakes'. My boys still enjoy watching them, and this DVD was no exception. My boys may now be 5 and 7, but thankfully they haven't yet grown out of enjoying a nice story and laughing at quite innocent little jokes. 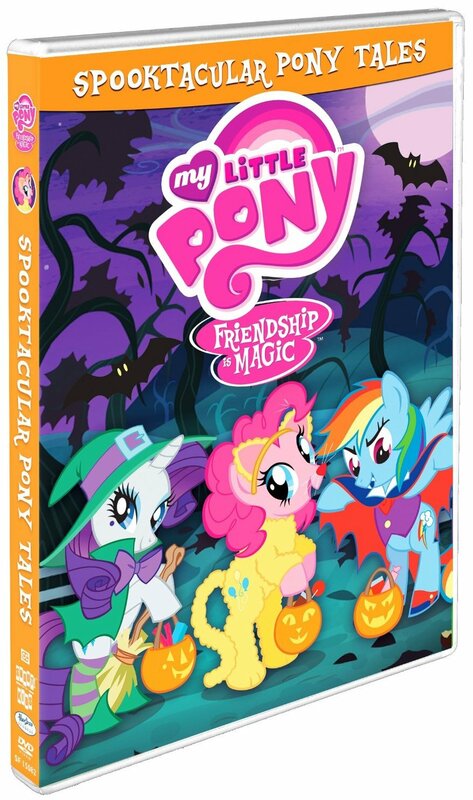 Hasbro Studios have kindly offered a copy of My Little Pony ~ Friendship Is Magic: Spooktacular Pony Tales as a prize for one of my readers. Entry is by Gleam form below. The first question is answered as a comment on this post, and no entry is mandatory. UK entries only please. The giveaway will end at midnight on Wednesday 21st October. Please see the bottom of the Gleam form for full terms and conditions. We were sent our copy of My Little Pony ~ Friendship Is Magic: Spooktacular Pony Tales for review. I think as a different animal? A cow or something maybe?? I'd get a Dragon costume! Ok then I read that approval message lol. Gosh, I'd probably get sun, moon and stars costumes for the ponies. A unicorn fairy. It would be so pretty.